Come shop our range of Natursutten natural rubber soother. The natural rubber soother by Natursutten are certified to Australian Standards AS 2432-2009 and are made from pure natural rubber. The natural rubber dummy is softer than silicon and moulded into one piece. This prevents the build-up of bacteria as there are no joints. Made from sustainable materials, the natural rubber dummy has no chemical softeners and artificial colours used in the making process. They are also biodegradable and environmentally friendly and 100% natural. They don’t leave a mark on their face as it follows the baby’s mouth movements. This rubber dummy is made in Italy while the rubber comes from the Hevea brasiliensis tree in Malaysia. The packaging in Australia uses soy ink in delicate colours to identify the styles of dummies. This rounded pacifier comes in a mint green box while the orthodontic dummy is in a purple box. The Manufacturers minimise the use of packaging as much as possible. Please see the instructions on the inside of the box for safe use. We love the Natursutten brand as they are an environmentally friendly company. Their designs and manufacturing are sustainable and aim to create zero waste. There aim to use 100% renewable energy and reduce their carbon footprint. My Little Love Heart is excited to be a stockist of the Natursutten range of soothers. We feel it compliments our range of baby bibs, teething toys, burping cloths and accessories. 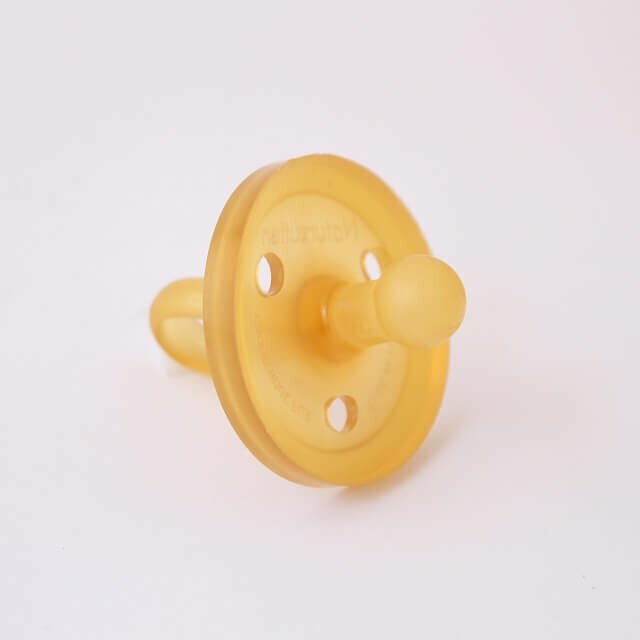 We have added some new items to our baby accessories page that compliments the pacifier. This includes the cute little pregnancy journal, baby books and dummy chains. They are all great items that complement our handmade products and would make a fantastic gift for a new mum or mum to be.